What Your Deodorant Is Really Doing To Your Skin. You’ve probably came across some headlines highlighting the dangers of using anti-perspirants containing aluminium, and why we should all go “natural”. What’s fascinating and quite worrying, is the level of scaremongering the media can cause without providing any facts or simply misinterpreting them. There’s a lot of beauty myths and heaps of bull that I’m uncovering. I’m convinced a lot of this is marketing to benefit sales, but I’m here for the TRUTH, so expect more myth-busting posts to come! So in true form, I wanted to start by explaining the body and why we use deodorants and anti-perspirants in the first place, and how these two products differ. Let’s look at our anatomy. Distributed inside our incredible bodies lie up to 3 million tiny sudoriferous, or sweat glands. These secretory glands make up part of our integumentary system and secrete our sweat. There’s two types glands found within the dermis of the skin – eccrine glands and apocrine glands. Eccrine glands are found all over the body but are more abundant in the palms, forehead and soles of feet. Their coiled glands are situated within the dermis and extend to the epidermis where the opening allows the sweat to excrete onto the surface of the skin. Its water-based secretion helps regulate the body’s temperature by releasing heat and providing a cooling sensation as the water evaporates off the skin’s surface. Eccrine sweat glands excrete excess water and sodium which gives that salty taste. The apocrine glands differ. We only have around 2000 of these which generally become active around puberty and are found around the groin and armpit, they’re also situated in the areola of the breast, external ear canal and eyelids – hence why some find eyeliner smudges everywhere. These glands secrete a sweat onto the hair follicles containing lipids (fats) and proteins, it’s more viscous (thicker in texture) and sometimes yellow in colour. When bacteria on the skin comes into contact with this sweat it creates body odour, or as me and Rich call it – Billy Ocean. 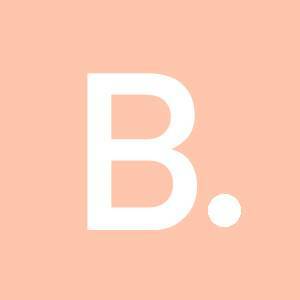 Perhaps more commonly know as B.O. Where eccrine glands help control the body’s temperature, apocrine glands are driven by adrenaline and hence, they increase in size during times of stress, sexual stimulation, pain, anxiety and fright. 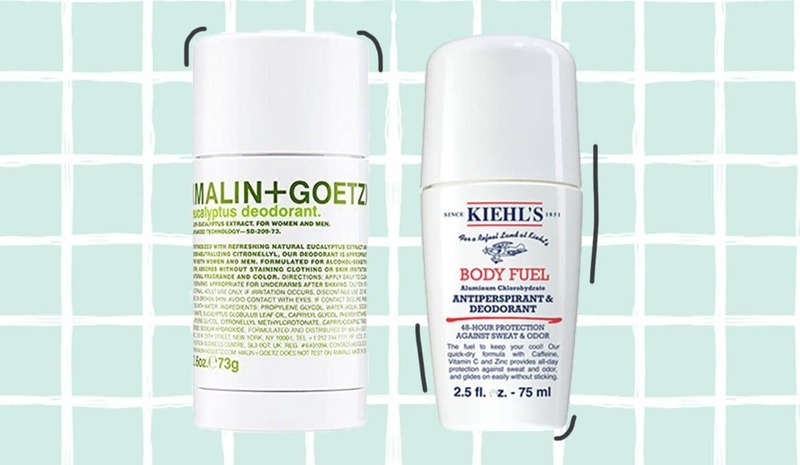 So how does deodorant and anti-perspirant work, and what’s the difference between the two? Deodorants don’t affect how much you sweat but they do reduce the smells by attacking the odour-making bacteria. Anti-perspirants contain Aluminium salts that work by combining with the water in your sweat to create a chemical reaction. A gel-like plug is formed and deposited in the sweat ducts. This plug then forms a blockage that prevents sweat from reaching the skin’s surface. This effect is only temporary as the plug starts to break down – hence the need to reapply. The term chemical reaction can relate to a lot of things but this is where I think people go nuts, I’m sure some visualise a bubbling volcano of acid. Not all chemicals are the same, for example; mixing bicarbonate of soda with citric acid (lemon juice) causes a chemical reaction, those bubbles are the release of CO2 (carbon dioxide, which by the way, is what we breathe out). I use basic and natural products like lemon, vinegar etc to clean my house but they’re still chemicals and combined create chemical reactions. According to many studies on the topic the answer is no, there’s inconclusive evidence to suggest that aluminium is absorbed into the lymph glands causing cancerous cells. From the studies I have read, IF someone who has cancer has used these anti-perspirants containing aluminium from a young age or for many years, they have to include this in the study. This doesn’t mean there’s a direct link between anti-perspirant use and cancer but they have to note that a number of people who have a particular cancer also used anti-perspirants previously. It’s worth noting that often studies seem alarming but if they get to analyse a small number of the participants and a least one person shows symptoms or develops a disease it will be highlighted. Even if the percentage is incredibly low it can still be picked up by the media and before you know it there’s mass pandemonium regarding an ingredient. Just check out the results of the studies by Deutsche Ärtzteblatt international via (table 2). I read a very good point online from Dr. Timothy J. Moynihan – an oncologist who serves as the Education Chair and consultant for the Division of Medical Oncology at the Mayo Clinic. He points out the difficulty in finding a link between aluminium and breast cancer by entering the lymph nodes closest to the armpit. In other studies, the relation of aluminium and cell mutation or damage referred to those working in industrial environments, handling large amounts of aluminium salts daily and inhaling airborne particles over a long period of time. Zirconium was previously used as ingredient in anti-perspirants as it was more effective in reducing bacteria levels, however, they were found to be an irritant to the respiratory system and cause damage to the lungs if inhaled. Zirconium salts have since been banned from use in aerosols in the EU and USA. With that being said, it’s in your own interest to be mindful, roll-ons and stick versions maybe a safer alternative, however it seems as long as they’re not inhaled, aerosols containing aluminium salts aren’t to be feared. It’s important to understand that our bodies are formed of many complex groups, each with their own jobs and can effectively remove small amounts of toxins, in addition we, as humans were designed to sweat for a reason. In some circumstances excessive sweating can affect peoples day to day lives, and occur even without excursion. In that instance treatments can be given to help reduce excessive sweating. When exercising I personally wouldn’t use a product that stops me sweating, as it’s a normal bodily response. It’s not an unusual sight to see people perspiring heavily at the gym so I don’t quite understand the need to feel like you should control it in that environment. However for those who sweat easily and heavily and don’t want sweat patches during their work commute I understand the desire to temporarily stop this function. What’s your opinion on aluminium and anti-perspirants ?